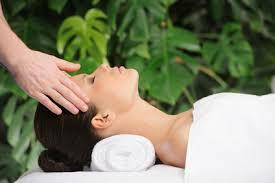 Reiki healing is very useful during pregnancy and in treating infertility. The infertility journey can be emotionally draining and frustrating, you can feel powerless during waiting phases, desperate, depressed and helpless. By introducing REIKI into fertility treatments, you are able to have a shift in your stress levels, as well as a greater shift towards being hopeful with a more positive outlook. Reiki means ‘universal life energy’ in Japanese and is a natural Japanese technique for stress reduction and relaxation that promotes healing. It is based on the principle that negativity is caused by a disruption in the body’s energy field or life force. By channelling energy, it is believed that the body can be filled with positive energy causing the negative energy to release. Energy fields in the body have different vibratory levels and Reiki Therapists use their hands to affect and rebalance these vibrations in the negatively affected part of the body. Reiki connects to the spiritual element within us, our life-force energy, and is administered by ‘laying-on of hands’ in different positions on the body. It is a non-invasive treatment. Reiki is not the removal of symptoms; it is about releasing the cause of breakdown in the body back to a state of alignment and health. Reiki brings you in touch with your emotions and feels like a wonderful glowing radiance that flows through and around you. It treats the whole person, including body, emotions, mind and spirit creating many beneficial effects that include relaxation and feelings of peace, security and well-being. With the help of Reiki couples with unexplained infertility stand to gain most. In case of women who are unable to conceive due to specific medical reasons which have been identified, Reiki will help you cope with the treatment better and restore your health faster. For more information and to book a treatment please email info@reikibabies.co.uk. Reiki treatments cannot guarantee a successful pregnancy yet Reiki is extremely beneficial for wellbeing and allowing, what can be a stressful journey, to become a fruitful experience that enables you to build compassion for the self and cope with the road ahead.